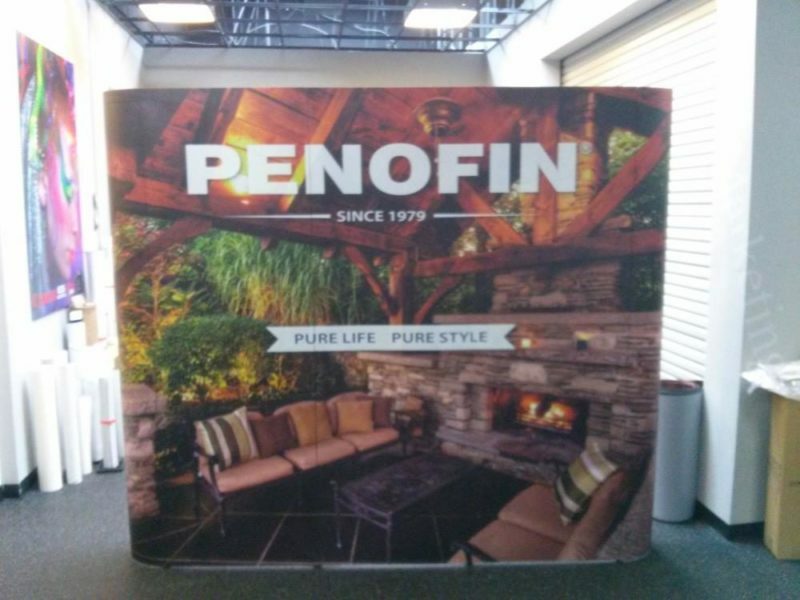 Crafting a professional and portable trade show display that’s also visually appealing is a vital element to the marketing strategy of many different businesses. Whether you’re showing at a professional expo, festival, school outing or somewhere else, we want to help you pull in as many potential customers as possible. 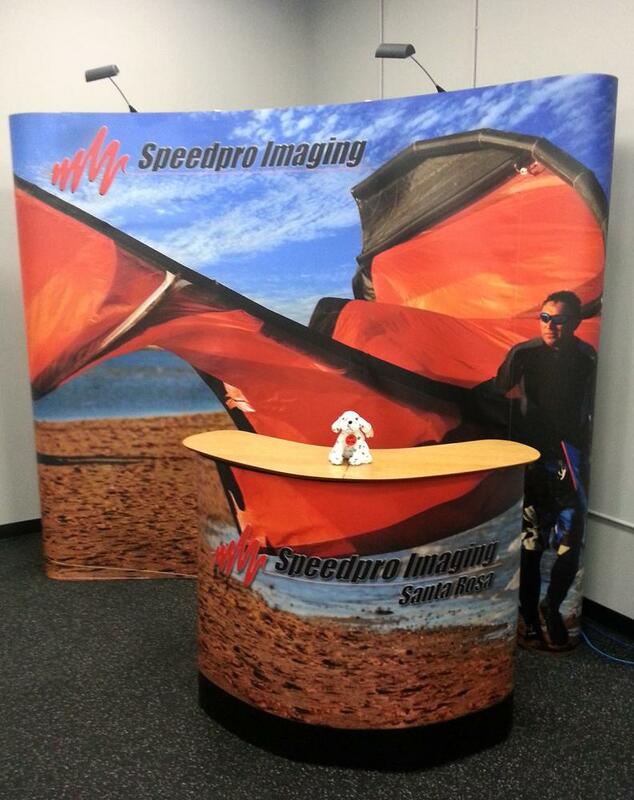 When you partner with SpeedPro Imaging Santa Rosa, you’ll be engaging with the country’s leader in large format graphics printing. We serve San Francisco, Oakland and the rest of the nine counties that make up the Bay Area, so don’t waste any time before scheduling your consultation. 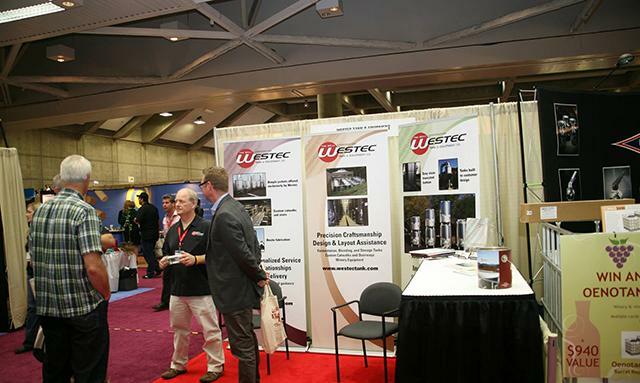 Pop up trade show displays can consist of a variety of different elements. Our visual communication experts will take into account all your needs and stipulations, and we’ll discuss with you the positives and negatives of each individual product in relation to your display. Together, we’ll come up with a suite of graphics that are durable and quick to assemble. Take these designs with you anywhere to attract countless customers and get them asking questions about your products or services. One of our most popular services is producing backlit and pop up displays to dazzle visitors. We also offer three different banner styles — retractable, telescopic and spring-back styles — as well as three levels — economy, standard and premium. Other valuable products that can display your branding in a noticeable yet functional manner are hop ups, which are display kits that hold large fabric graphics. Hop ups are lightweight and extremely portable, as they require no tools and come with carrying cases. 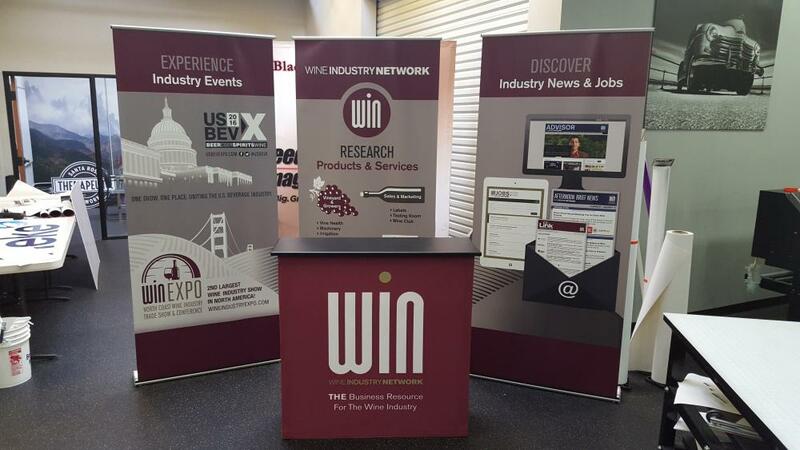 When your banners and hop ups attract interested passersby, keep them engaged with some branded point of purchase displays, kiosks, literature stands and more. If you’re more likely to operate outdoors, keep in mind that we also offer tents, flags and other outdoor signage. Tents come in three forms — popup, tubular and inflatable — and in a range of different sizes. Flags also come in a variety of sizes and styles, which include blade, teardrop, flutter, and feather. You can also generate some curb appeal with A-frames and coroplast signs. When you choose our services, we become more than just the people who will supply the products for your portable trade show display. We’re committed to being a long-term extension of your marketing team, providing you with an array of graphics to help take your branding to new heights. Contact us today to schedule your meeting, or come by our studio, which is located near the Charles M. Schulz Museum and Research Center on North Dutton Avenue.